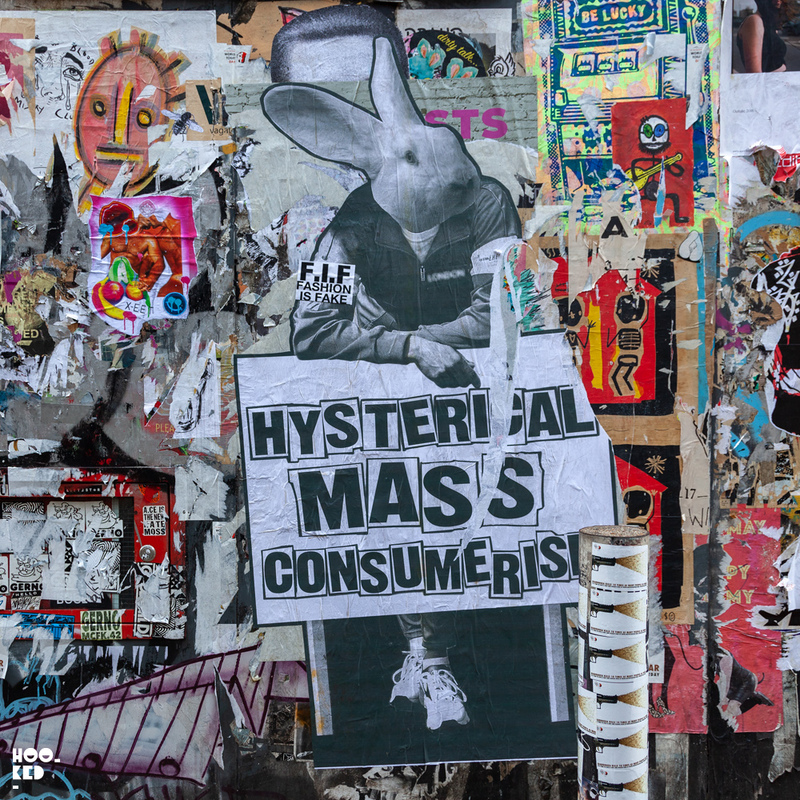 With many of the cities residents still on holiday or in bed nursing the dreaded post new year hangover we figured it was the ideal time to catch up on what was happening street art wise in our neighbourhood. We were also hoping that with fewer people about we might be lucky and find some car-free shots of exiting works we have previously shot but were maybe not so happy with the shot on account of cars parked in front of or obstructing us getting a clean shot of the work. Any of you out there who like to photograph street art will know how infuriating it can be when there are cars parked in front of a mural or wall you want to shoot. And we're sure like us some of you will return a second or third time to the same location or wall to get that shot you are happy with! 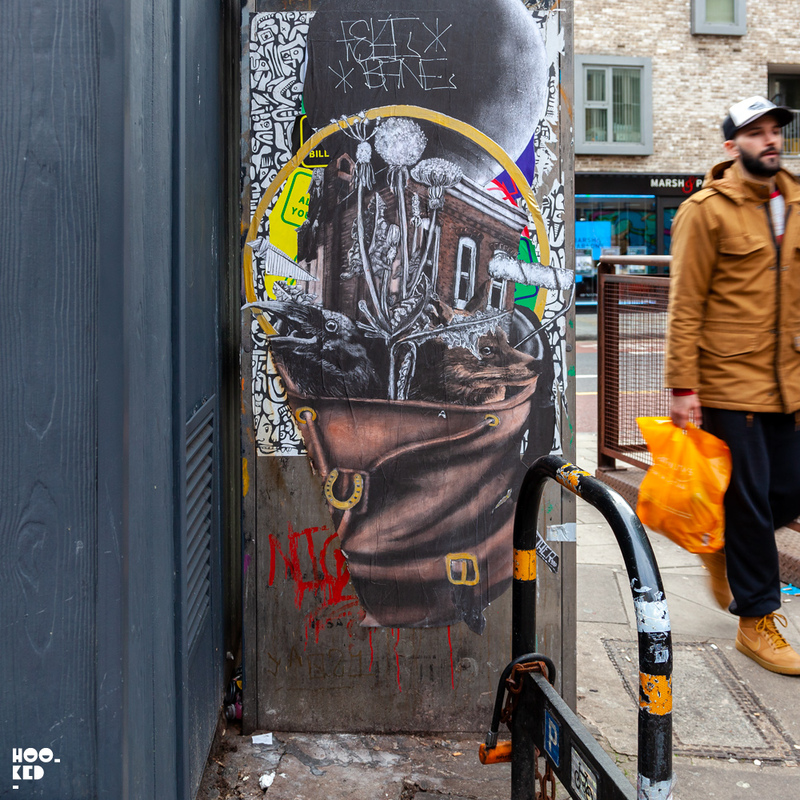 Well, it would seem luck was on our side on the day and we did manage to capture this Brick Lane work by artist Sweet Toof pictured below. A rare car-free window allowed us to capture a photograph of this Sweet Toof piece on Brick Lane, London opposite the famous Beigeil Bake shop. Alongside some of the mural works we were trying to capture car-free on New Years Day we photographed a collection of street art stickers which we have already shared in this post; ' Stick it up: Shoreditch Street Art Stickers Edition 7' and a series of wheat-pasted posters pasted on walls and doors around Shoreditch. 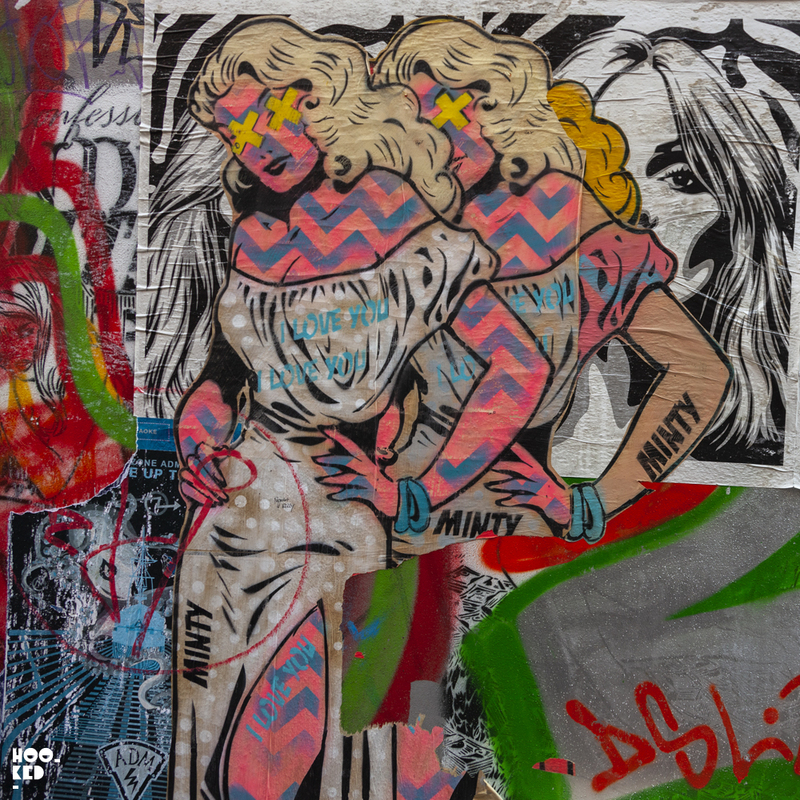 From screen printed to the one-off hand-painted posters, we have shared a collection of works that caught our eye in this post, featuring the works of Donk London, Minty, BL2A, Mowcka, Dr.Cream, Rx Skulls, Nether and more. 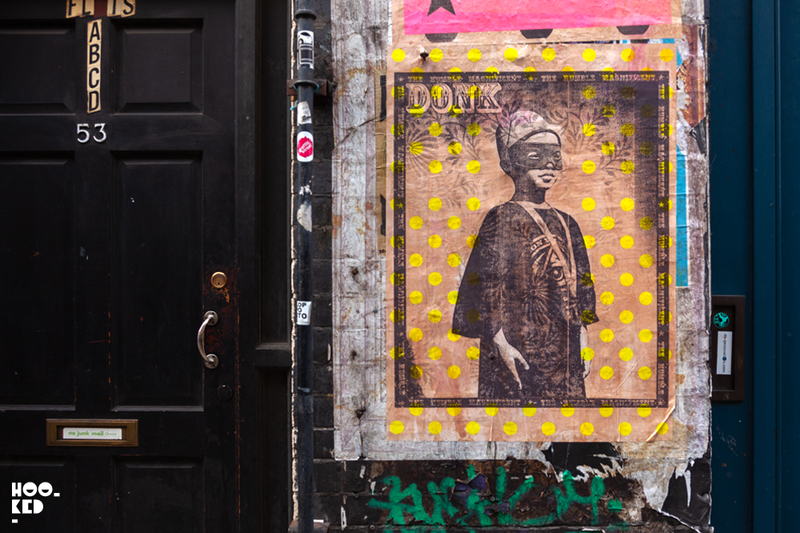 Screen printed photographic paste-ups by London based street artist and Hookedblog regular Donk London. 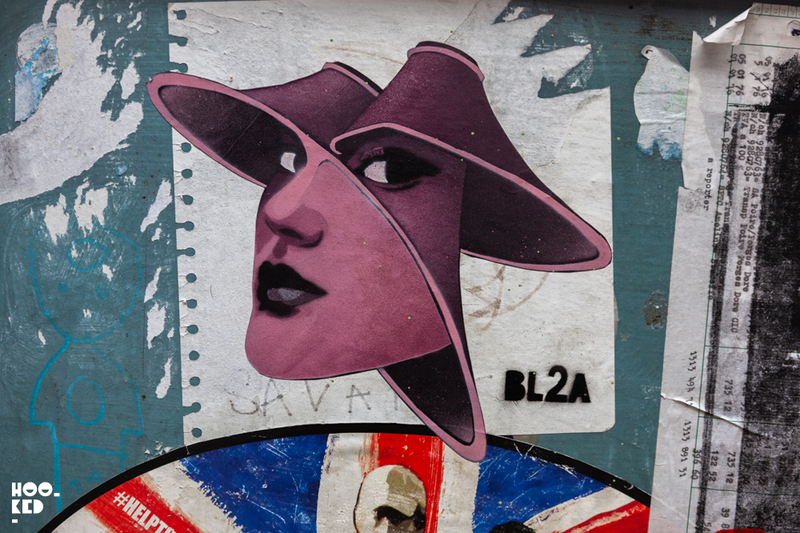 Originally from Argentina and now based in Barcelona street artist Mali Mowcka has been hitting the London streets hard on a number of visits to the city with her hand-painted posters all featuring the characters pictured above. Brighton based street artist Minty large scale paste-ups regularly appear on walls in town with him frequently making the trip up to London. We also spotted some of the artists work on walls in Amsterdam on a recent visit. 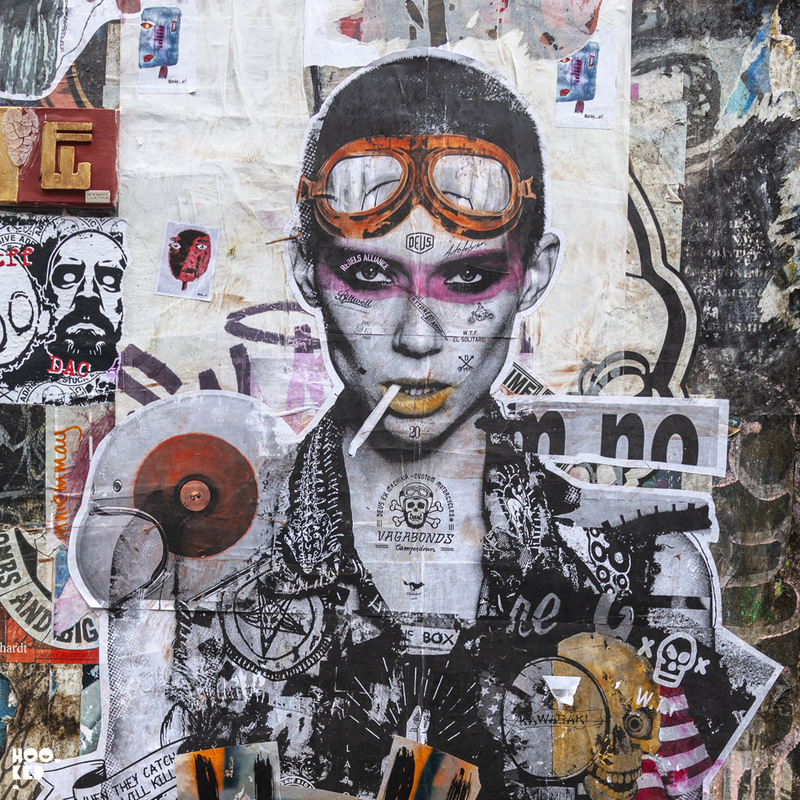 Artist Dr.Cream has been installing a series of paste-ups around Shoreditch and Brick Lane, each one features a slightly different version or frame if you will of the same image. 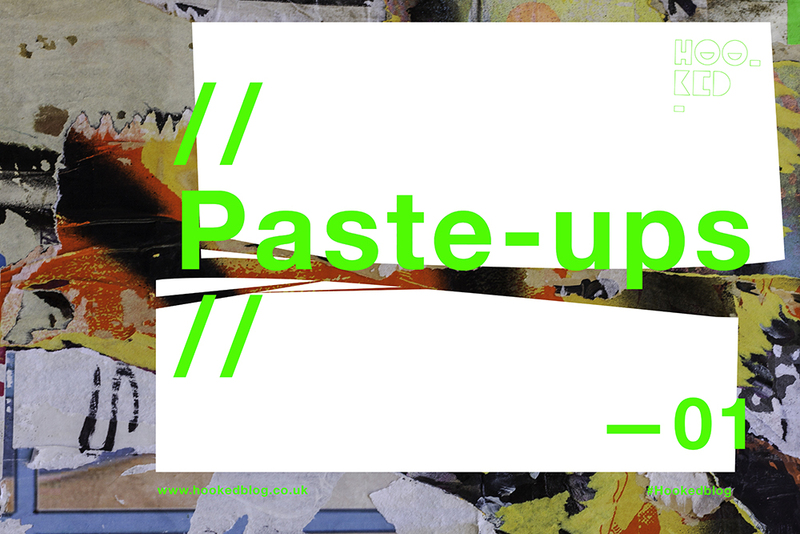 If you manage to track down all the paste-ups ( each one is numbered) and photograph them you will find that they are frames of a sequence which combined together on a computer or an animated gif app you can create a short animation. 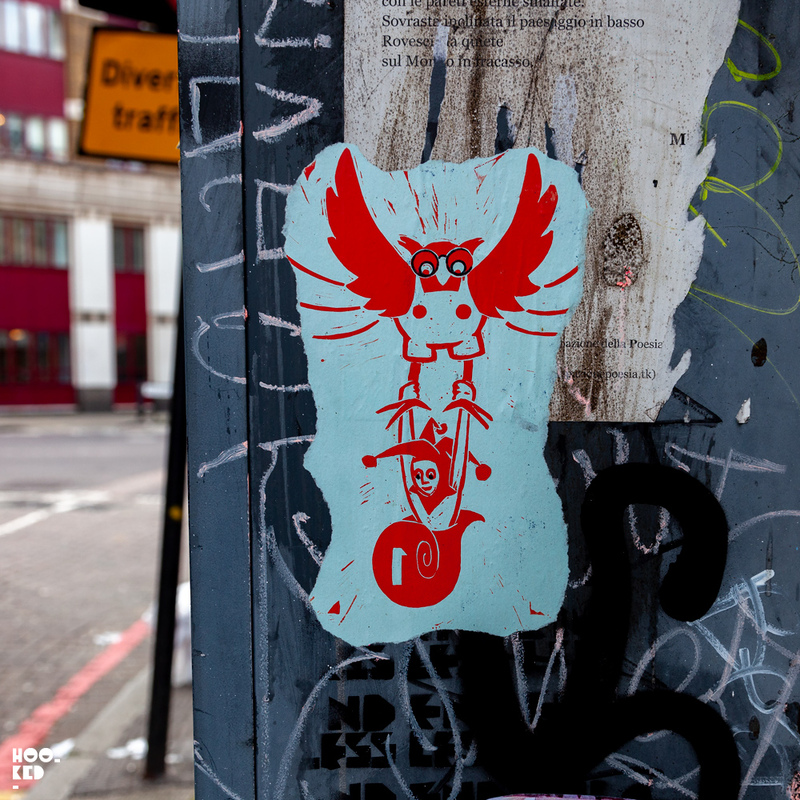 We have previously photographed some of his other work and managed to shot a sequence of paste-ups featuring a cat in motion. 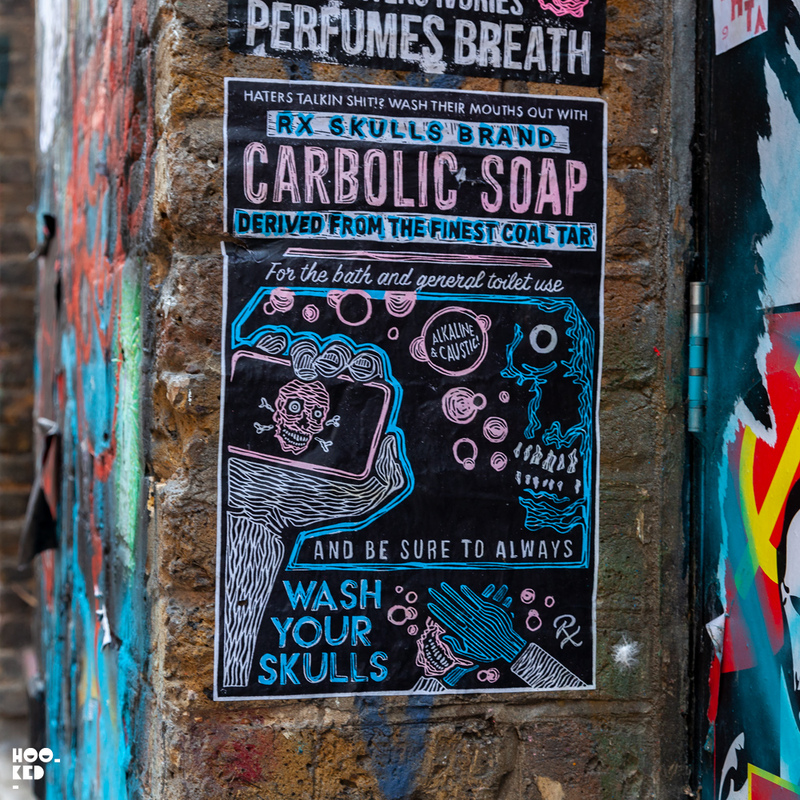 Hand printed stickers, altered street signs and a series of hand-printed posters had been added to the London street by 'Adhesive Enthusiast' and American street artist Rx Skulls. 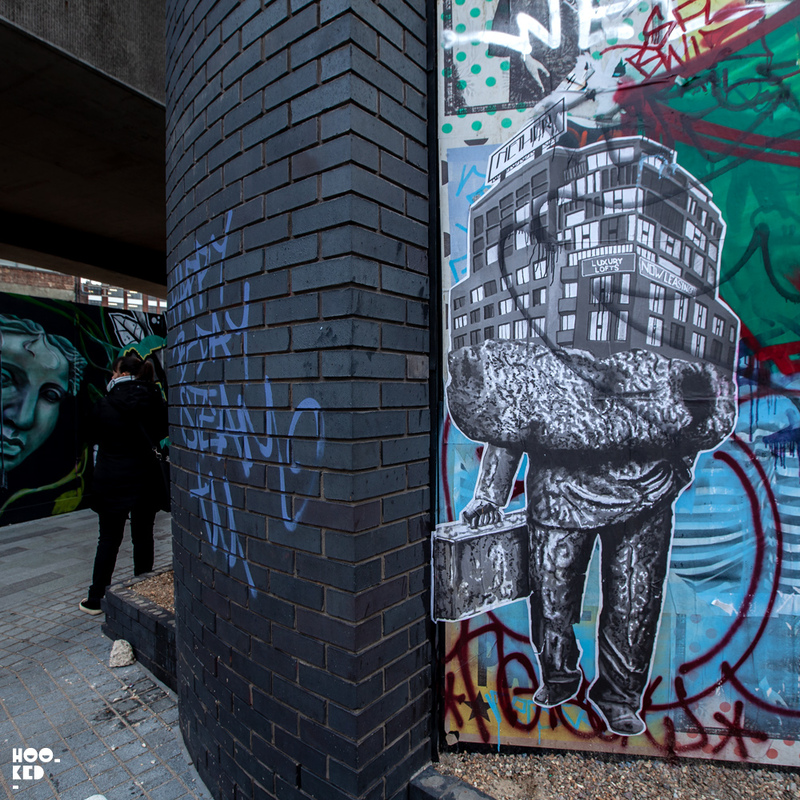 Baltimore-born Street Artist Nether spent some time in London late last year painting a number of murals ( there are two located on Bacon Street just off Brick Lane) and installed a series of wheat-pasted posters on the streets including the two large pieces pictured above. 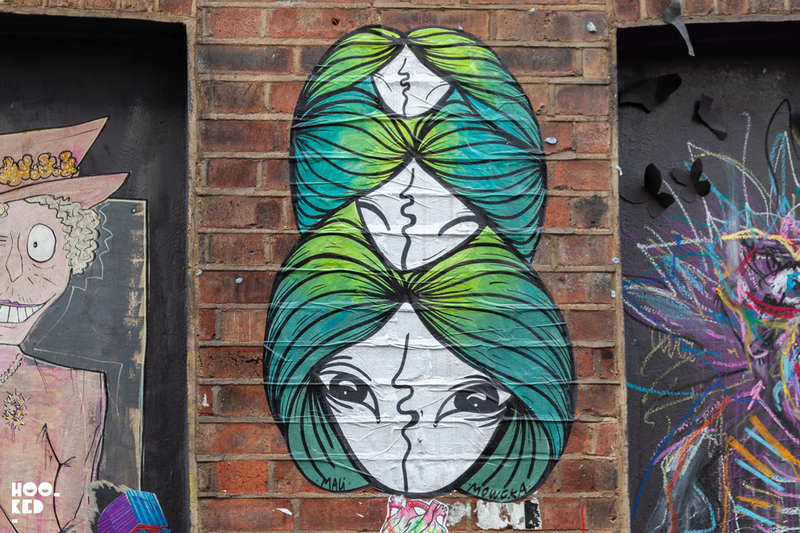 Eye-catching pasteups by Ant Carver in Brick Lane. 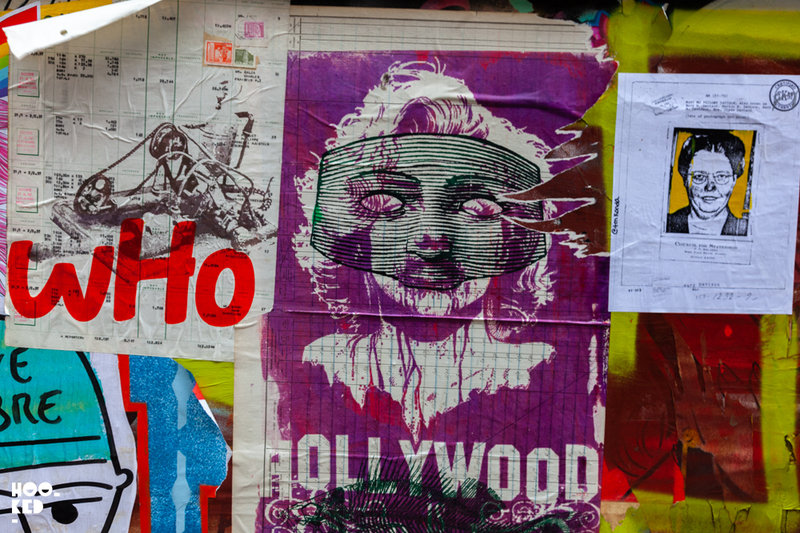 Large scale pasteups from Pyramid Oracle in East London.